We also keep track of your food preferences and restaurant choices and analyze that information. 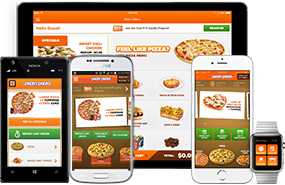 Pizza Pizza may use Personal Information for fulfilling your order or other fully disclosed purposes, such as to enter you into a contest, speed-up the placing process for a future orders or responding by email to an inquiry that you posted online. Your Personal Information may also be used by Pizza Pizza, or any other division of Pizza Pizza, to contact you regarding other products or services that may be of interest to you (including those that we may offer jointly with other companies) and for our customer appreciation programs. Pizza Pizza reserves the right to access and/or disclose Personal Information where required to comply with applicable laws or lawful government requests or, in Pizza Pizza’s reasonable opinion, to operate the Pizza Pizza Website or Contact Centres properly and securely, or to protect Pizza Pizza or visitors to this website. To process transactions on the site or via our Contact Centres, we may share your Personal Information with our agents, representatives, contractors and service providers so they can provide us with support services such as authorization of credit card transactions, placing of orders and order fulfilment and promotional fulfilment. We require these entities not to use your information for any other purpose. You may at any time contact the Pizza Pizza Contact Centre through your local ordering telephone number or at 416-967-1111 in order to have your Personal Information removed from our database. 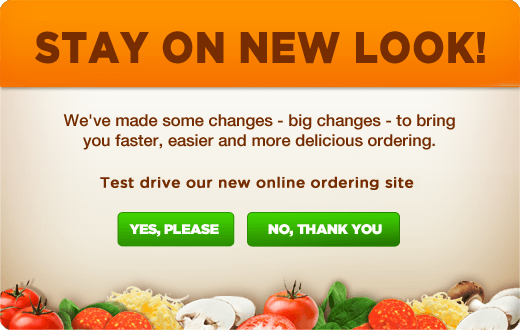 The Pizza Pizza Website may offer links to other sites not operated by Pizza Pizza. If you visit one of these sites, you should review their privacy and other policies. Pizza Pizza is not responsible for the policies and practices of others.